Do your research first — go online to see what’s available and read customer reviews. One size doesn’t fit all — does the mattress store only carry prebuilt inventory? Has the salesperson asked you a lot of questions about your sleep issues or have they just given you a couple of options? Everyone has different sleep needs and a store that allows you to choose how your mattress is made will definitely mean a better sleep. Take different mattresses for a test drive — lie on mattresses in the store for at least 10 to 15 minutes — couples should test out the mattresses together. If you don’t spend that amount of time, you’re not really going to get a sense of how the mattress feels for your back, hips, etc. Firm mattresses aren’t always better for your back — research has shown that the best mattress for lower back pain is a medium firm mattress rather than a firm mattress. There is a difference between firm support and firm feel. You want firm support with a comfortable feel. Comfort will be determined by your personal preference. Ask if you can choose the ingredients — for many consumers today, knowing what ingredients make up the mattress is essential. Customers want to know what they’re sleeping with. Two different firmness requirements — couples often have different firmness requirements. 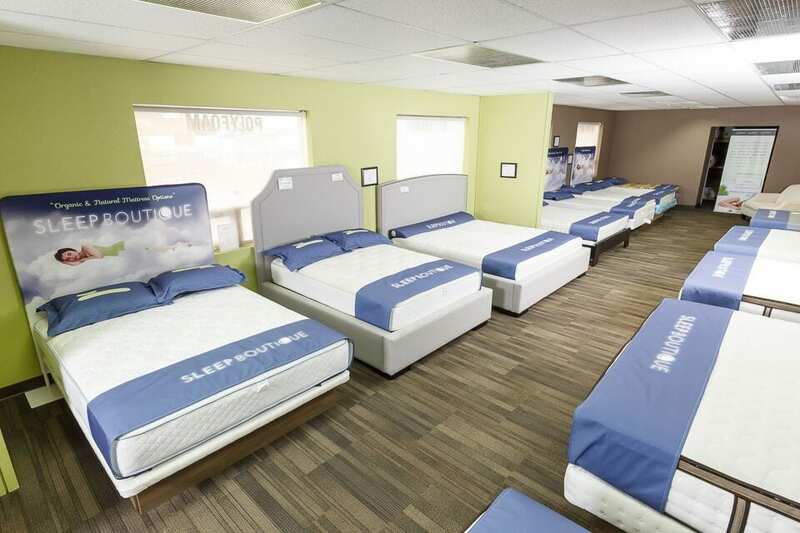 Can the store provide you with a mattress that will accommodate both of you? Do they offer a comfort guarantee or trial period — before you buy, make sure you can exchange or return your mattress, or have adjustments made. Sometimes it takes a week or two to know whether or not, this is the right mattress for you. Ask what materials do they use in the mattress — if they answer Soy Foams, Memory Foams and Latex, ask more questions. What are the densities, how thick are they, and where is that layer located in the mattress? Major retailers will often add a little bit of a more expensive material, just so they can mark up the price. Remember, it’s your mattress, your back, hips and joints, plus your money, so take the time to do the research ahead of time, read the reviews and shop at a sleep store that’s going to fit you into a mattress that’s right for you, not a model they’re trying to move out of the store.